Description: Let's go camping set. 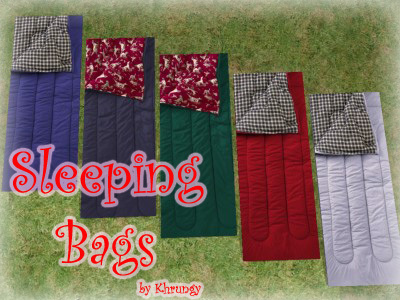 Description: Animated sleeping bag in five colours. 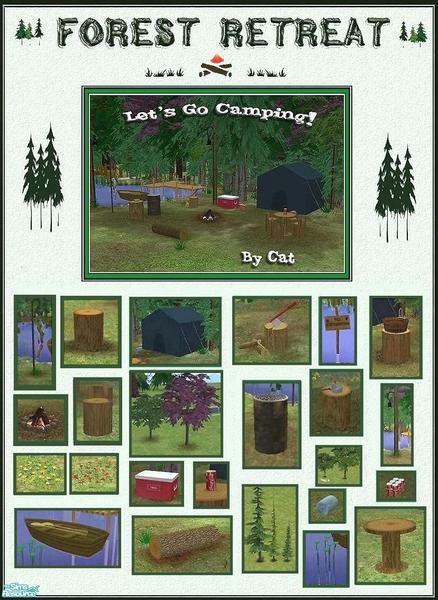 Description: A set of 25 objects for camping. Description: Outdoor log seating (bench, chair and decor items). 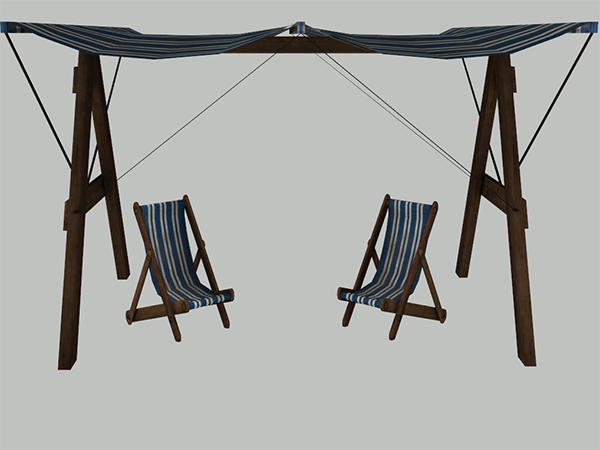 Description: Beach canopy and chair converted from Bioshock Infinite. 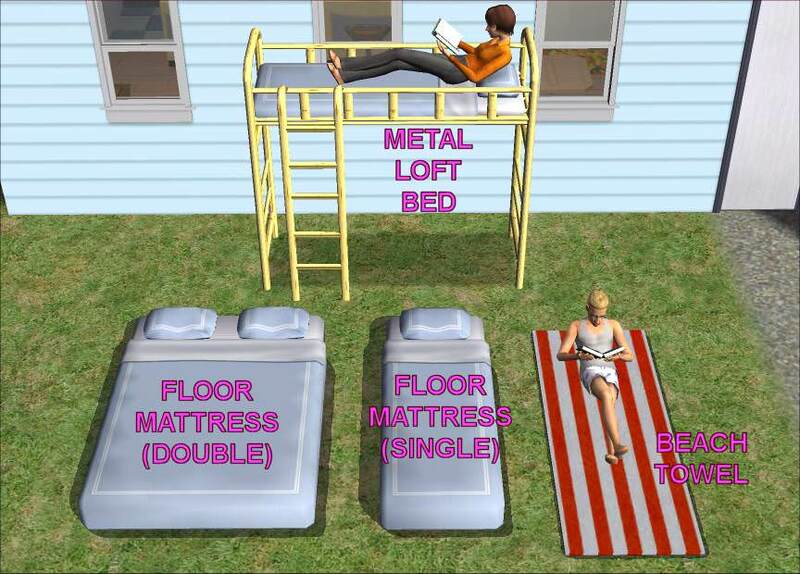 Description: Decorative celebrity trailers converted from The Sims 3. 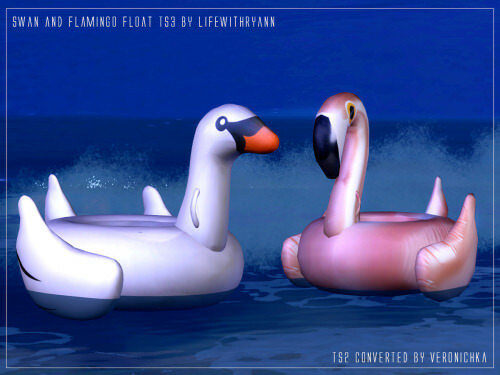 Description: Boats and inflatable mattresses decorative objects. 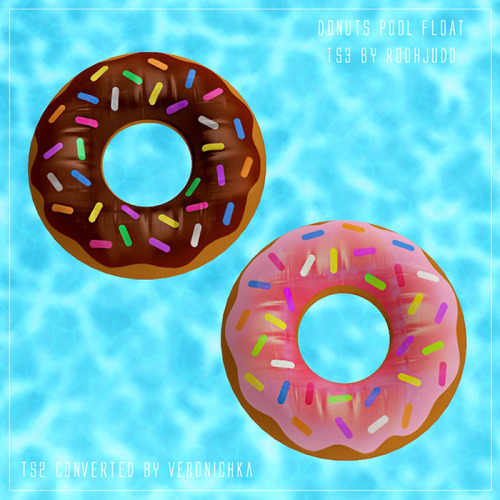 Description: Inflatable doughnuts for pools (decorative object). 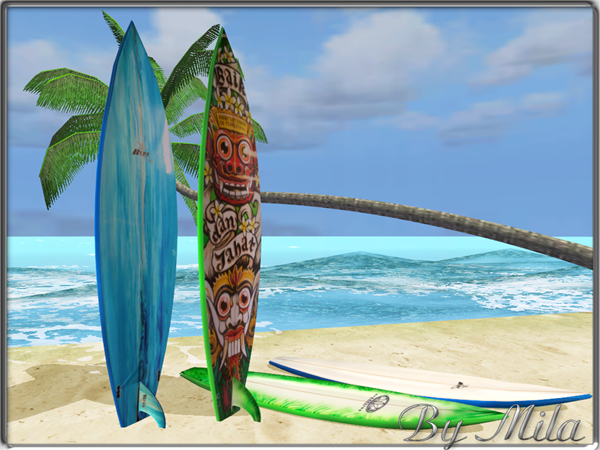 Description: Surfing boards and water skis (decorative). 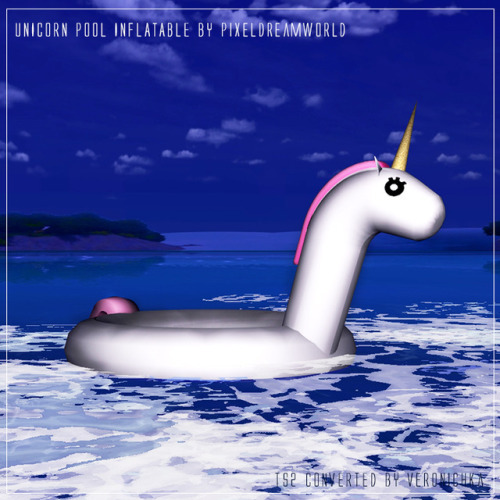 Description: Inflatable pool unicorn (decorative). 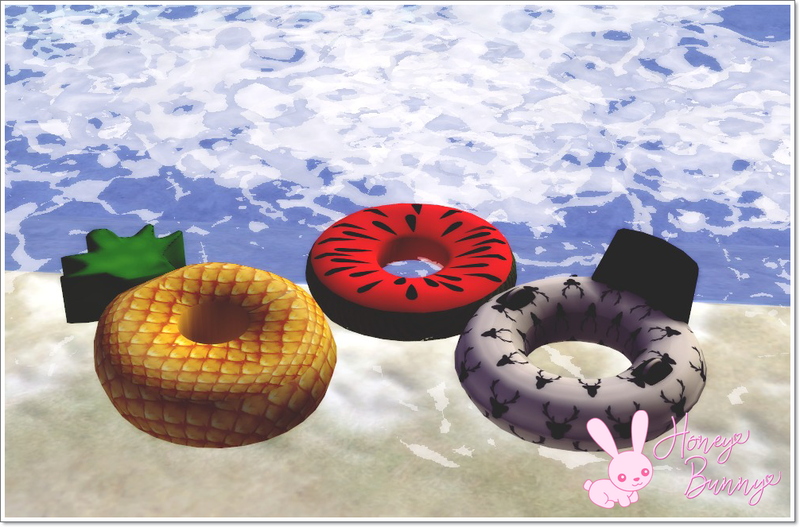 Description: Inflatable pool objects (decorative). 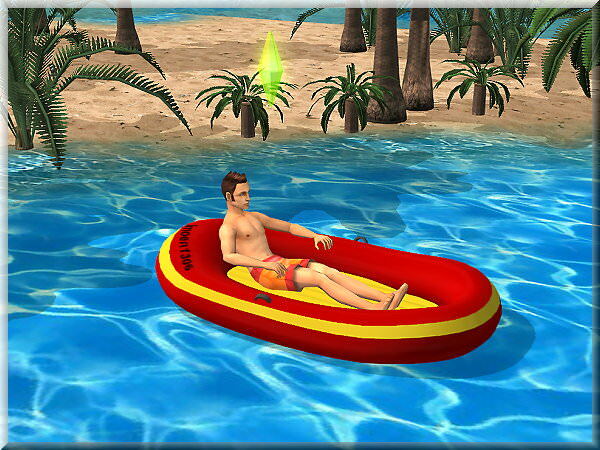 Description: Inflatable boat (works as a chair). 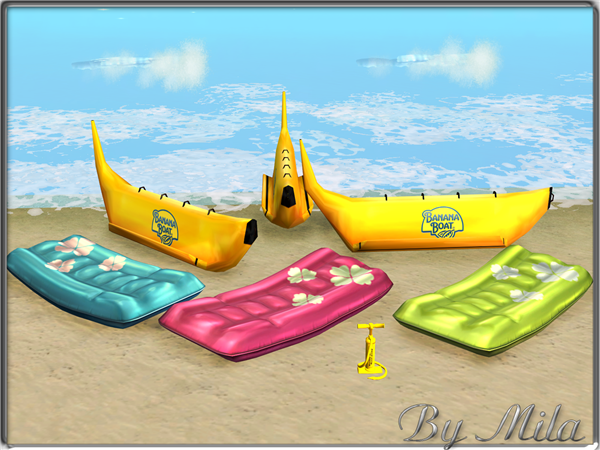 Description: Rustic beach furniture set. 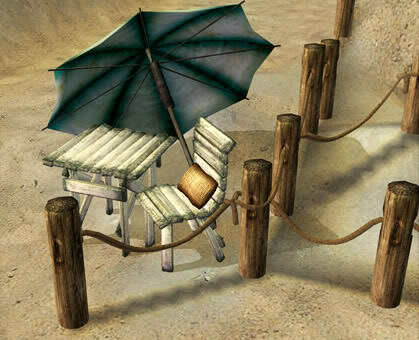 This set includes a beach umbrella, a table, a chair, an old rope fence, a starfish lamp. 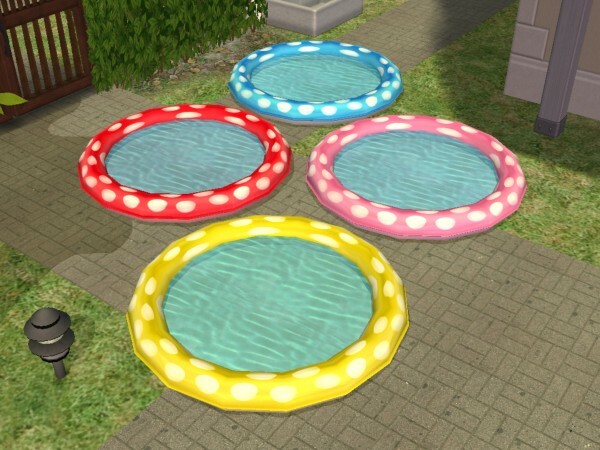 Description: Inflatable pool mattress converted from the Sims 3 Seasons. Can be used as a bed or a decorative object. 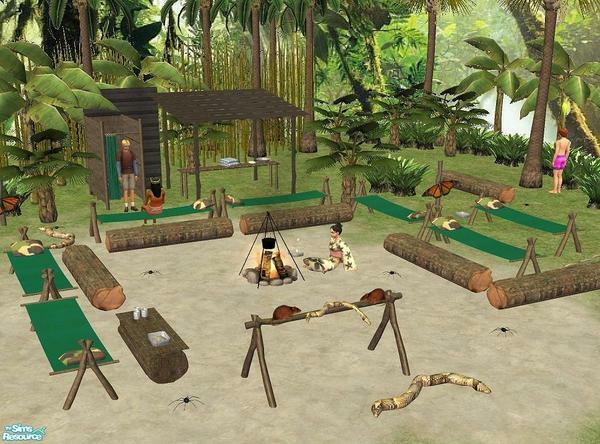 Description: Three tents in different colours and textures. 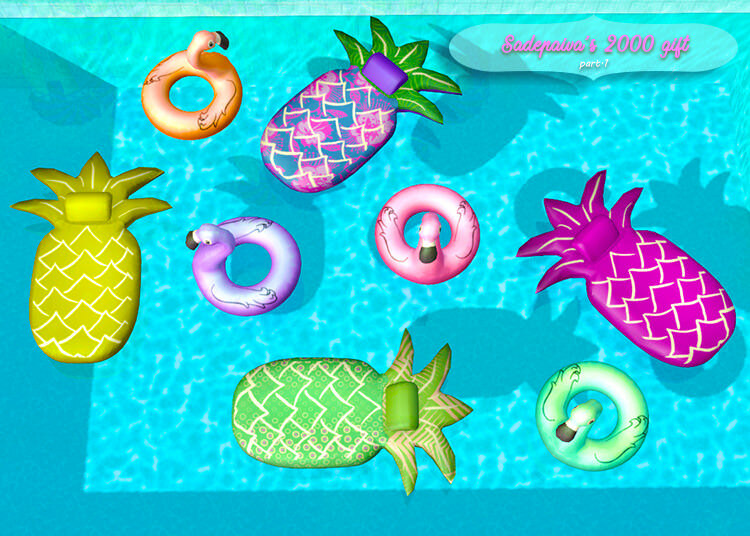 Description: Pineapple floats in 11 colours. 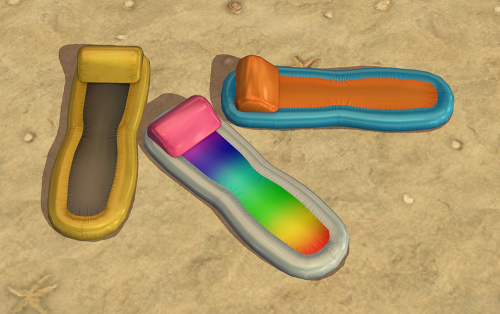 Description: A collection of three different pool floats.